The 148-foot sandstone bridge towers 60 feet above winding pathways and is the longest natural bridge east of the Rockies. Found in a forest setting with natural gardens, picnicking, nature trails, concessions, and gift shop. Hours: Open daily 8 a.m.-sunset, year round. Admission. 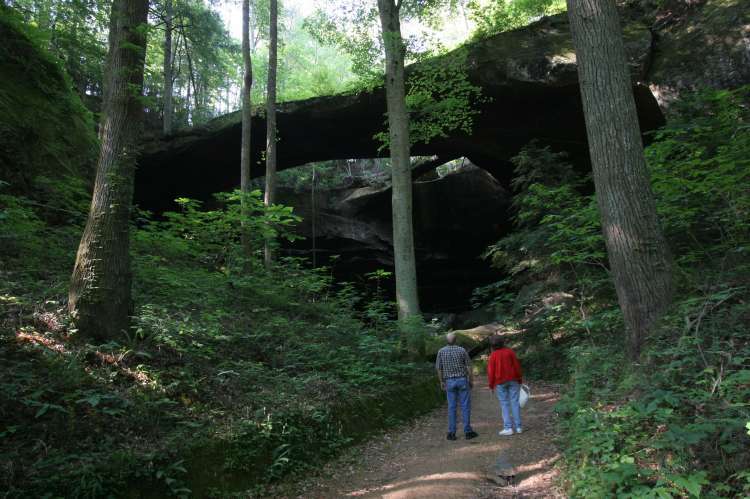 Visit the Natural Bridge of Alabama!